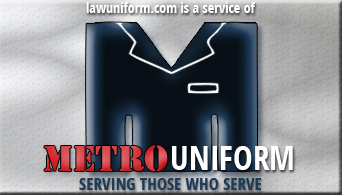 Metro Uniform is your reliable source for uniforms, supplies and the quality equipment needed to do your job. We offer an extensive selection of in-stock products with an experienced staff that recognize the importance of ensuring your uniform meets specifications, offer high quality embroidery and alterations, a great customer experience and competitive prices. 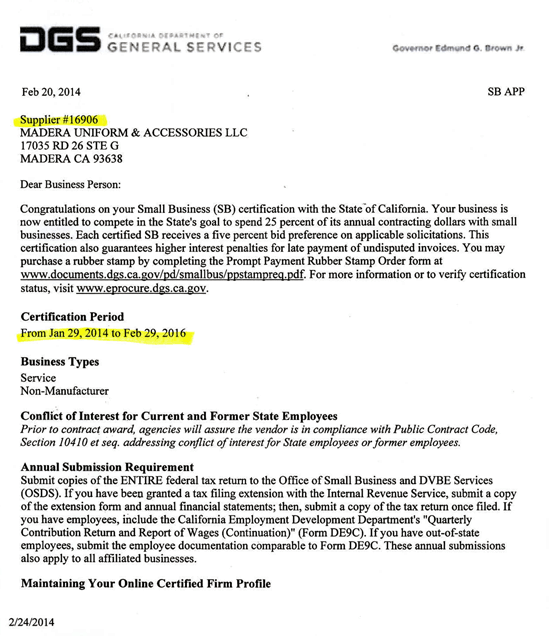 With 20 years experience in the industry, Metro Uniform is a Certified Small Business with the State of California (www.eprocure.dgs.ca.gov) operating from 3 locations, Madera, Fresno and Merced. We serve many Departments, members of the US Armed Forces, Law Enforcement and Public Safety Professionals who trust us to provide their essential gear and supplies. 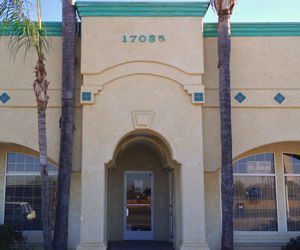 Our customers include: Madera County Sheriff, Madera County Corrections, Madera Police Department, Fresno Sheriff Office FSO, Fresno County Sheriff and Fresno Police Department California Highway Patrol, Chowchilla Police Department, Madera County Probations, Pistoresi Ambulance, American Ambulance, Riggs Ambulance, Edison, Evapco, Cal Trans, Mission Bell, JBT, FMC, TESLA, Crop Production Services, California Cadet Corp., Madera School CNA Nursing Program, Fresno City College Police Academy, Fresno City College Fire Academy, Los Banos Police Department, Atwater Police Department, FBOP Federal Buerau Of Prisons, Merced Correction, Kerman Police, CCWF, VSPW, Veterans Affairs Police, VA Police, FUSD transportation, Fresno Unified, Madera Unified school district. Thank you for your valued business! We pride ourselves in Serving Those Who Serve. Orders received Monday-Friday by 3pm of in-stock items are usually shipped within 2 days, for delivery within 3-6 working days. Please expect an extended delivery date if the item requires personalization (i.e. patches, name tapes, embroidery, etc.). USPS Priority Mail Delivery times to standard US locations are 1-3 business days. UPS Ground - Delivery times to standard US locations vary by region and take 3-6 business days. Military APO/FPO Shipping is also available on request. FREE In-Store Pick Up Option - In-store pick up is available from our three California locations, Fresno, Merced or Madera. Please call us on 209-384-0077 if you want to collect your order in-store. Please see above for store locations and opening hours. All shipping times are counted in business days only, Saturday/Sunday and holidays are not counted as business days and online orders received on these days will be processed on the next business day. Occasionally delivery times may need to be extended due to the following exceptions, if so you will be contacted by email to advise of revised delivery dates. Please expect an extended delivery date if your items require personalization (i.e. patches, name tapes, embroidery, etc.). Because of the unique protective aspect of Law Enforcement and Public Safety some items will require proof of occupation to process your order. A current departmental I.D. or letter of acceptance will be required to process any order with departmental insignia. If I.D. is required for your order, we ask that you supply it to us promptly to avoid any delay in shipping delivery times for your order. Also, a signature is required on delivery for a package containing products with Departmental Insignia. PLEASE NOTE: For all orders requiring proof of occupation (ie orders including Departmental Insignia) if we do not receive your I.D. within 15 days of placing your online order, the order will be cancelled. Your item must be in its original unused condition to be returned, unless there is a manufacturer defect. You must return the item within 30 days of your purchase. A refund will be issued within 15 days after your item has been processed with our returns department. Please email info@lawuniform.com with your online Order # or call (209) 384-0077 to request a refund, within 5 days of receipt of items. Metro Uniform are unable to accept responsibility for returns that do not arrive at the above address, we advise that you use a tracked shipping method for your returns. CLOTHING - Exchange or Return for full purchase credit of clothing can be made only if the clothing is unaltered and in original condition and packaging. Exchange or returns of altered clothing, but in original condition and packaging, can be made for partial credit. Exchange and credit amount is subject to our discretion. We are unable to accept returns or give refunds for any item that has been altered specifically for you (i.e. hemming, adjusting waist bands, shortening sleeves, etc). No returns or exchange of worn and/or laundered items (manufacturer defect exception). EQUIPMENT - Equipment can be exchanged or returned for full purchase credit if in original condition and packaging. RESTOCKING FEE: Return requests after 5 days of receipt of items may be subject to a 10% restocking fee, at our discretion. Shipping costs are not refundable, unless the return is related to our error. Because of the unique protective aspect of Law Enforcement and Public Safety some items will require proof of occupation to process your order. A current departmental I.D. or letter of acceptance will be required to process any order with departmental insignia. Also a signature is required on delivery of a package containing products with Departmental Insignia. PLEASE NOTE: For all orders requiring proof of occupation (ie orders including Departmental Insignia) if we do not receive your I.D. within 15 days of placing your online order, the order will be cancelled. We can offer high quality uniform alterations with great turnaround times. Above story first appeared in MADE TO MEASURE Magazine, Spring & Summer 2009 issue. All rights reserved. 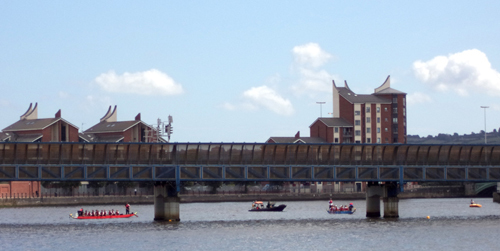 2013 World Police and Fire Games, Belfast Members of Metro Uniform were pleased to attend. We've also attended World Police and Fire Games in Adelaide, Australia; Vancouver, BC & New York. 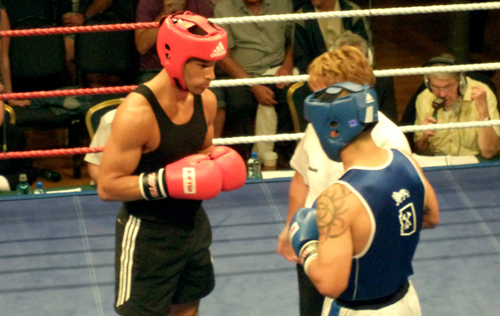 Here are photo's we took at this years Games, Boxing at Ulster Hall, Rugby and Dragon Boat Racing.